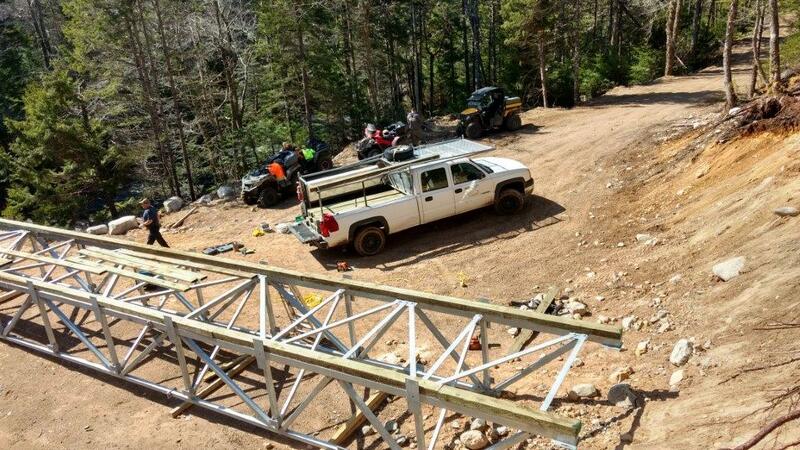 Yesterday in the sunshine, volunteer crews working with project leader Mike Marriott, Trust Board Member and President of the local Safety-Minded ATV Association, prepared the new steel bridge for installation across the Nine Mile River. 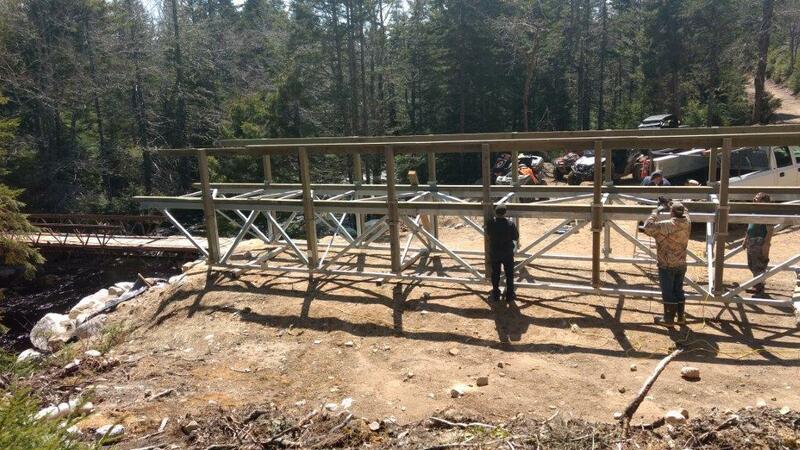 Depending on weather conditions, the bridge will be fully installed and secured within the next few weeks. This 5-year project is finally coming to its completion. Wonderful achievement for the Trust, project supporters and volunteers involved. 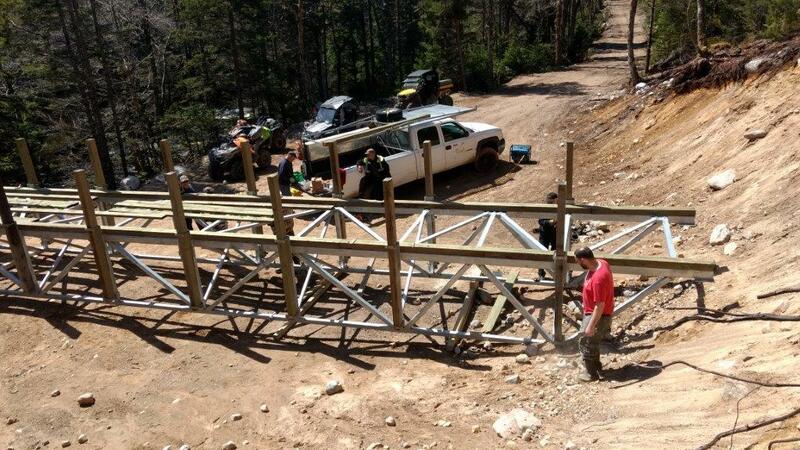 The new structure will allow trail users safe access for years to come and replaces an old wooden structure from the 1980s.